Stephen Sackur talks to investigative journalist Seymour Hersh. Fifty years on from My Lai, are journalists still able to tell the truth to power? Browse content similar to Seymour Hersh - Investigative Journalist. Check below for episodes and series from the same categories and more! Now on BBC News, HARDtalk. 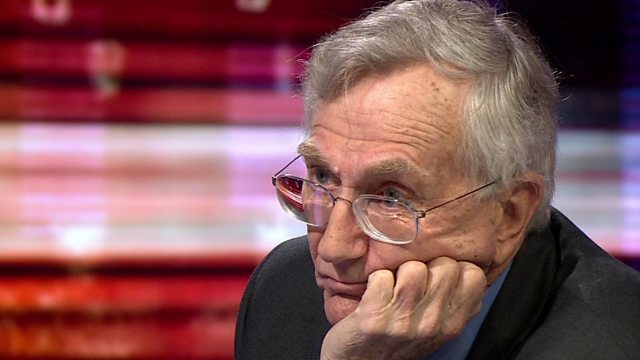 Seymour Hersh, welcome to HARDtalk. knew he had come into Fort Benning. including women and their children. man on the grounds remember it. hands above ahead, and executed. soldier from any country does. whatsoever, there was no threat. of getting Ebola too -- didn't kill. guys had a problem too. end of the brutality in combat. is very port and -- important. credibility is an issue too. weapons of mass destruction to back. can do make anybody happy. checking went on at the New Yorker. live in today? -- 40 47. -- 20 47. On 16 March 1968, US soldiers committed a war crime during the Vietnam war. More than 500 men, women and children were systematically slaughtered in the village of My Lai. The terrible truth was exposed thanks to the work of investigative journalist Seymour Hersh. He can look back on a lifetime of reporting that has been punctuated by scoops, prizes and plentiful confrontations with the powers that be. Fifty years on from My Lai, are journalists still able to tell the truth to power?